Let’s face it: we all need encouragement to pray. So many things can impede our pursuit of God through prayer that we feel like giving up. 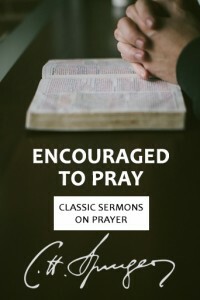 In Encouraged to Pray: Classic Sermons on Prayer, Charles Haddon Spurgeon’s faithful expositions of Scripture will provide the push and traction you need to move forward in joyful and effective prayer. 1. 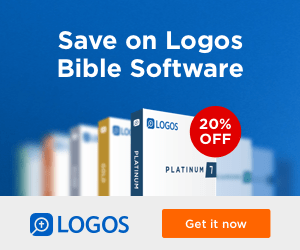 If you struggle getting started in prayer, read the Bible first and respond to what God says. 2. God, our all-powerful heavenly Father, is able and willing to grant our requests. 3. Our gracious Father doesn’t need eloquent prayers to hear the cries of His children. 4. When we don’t feel like praying, pray for help. Much more can be said about how Spurgeon’s sermons will encourage you to pray, but I’ll just invite you to read this book for yourself. 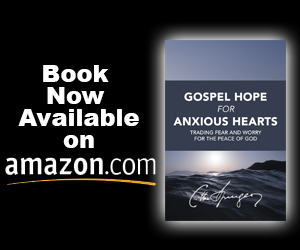 Buy Encouraged to Pray in paperback or Kindle edition today. Cross-Points is looking for reviewers to read and review Encouraged to Pray. If you would like to receive the Kindle version to review, please email kevin@cross-points.org with your name, where you will post a review in addition to Amazon (personal blog, Goodreads, etc), and a link to previous review(s) you have done. If you are accepted, you will receive your copy within a few days.